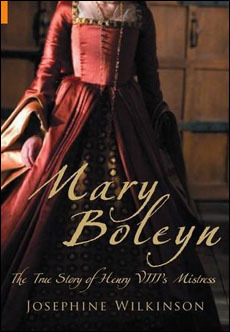 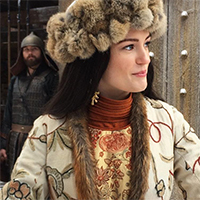 This recycled costume is interesting because while we've had several other recycled costumes that were used on models for book covers - this screenshot seems to have actually been taken from an image used to promote the film The Other Boleyn Girl! 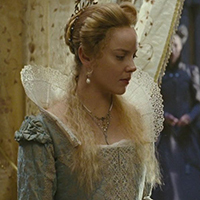 The image has been cropped and reversed, but it's the same exact image. 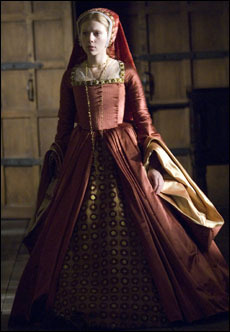 So it could be said that the costume was used on Scarlett Johansson as Mary Boleyn twice, even if it was just a case of using the same photo.